Add potatoes, onion, garlic, thyme and broth to slow cooker. Turn off heat, stir in cream and cheese. Use an immersion blender to puree about 90% of the soup, making it mostly creamy with a few lumps. Add salt and pepper to taste. Serve, top with extra cheddar, extra thyme, and soy bacon bits if desired. 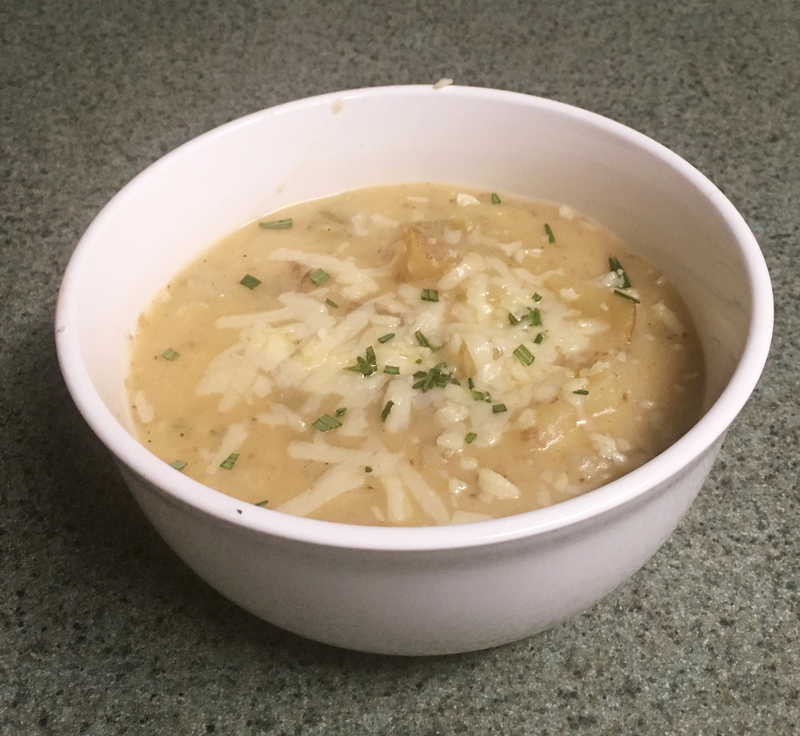 This soup is perfect for a cold winter day!